I made a confession the other week. I have made it to my 30’s without ever really having taken care of my skin. I have procrastinated many times over what product to buy, which of the latest trends work, but something (other than my busy schedule) has always held me back. I want to look after my skin, but I want to be informed and use products I can trust. There’s so much information out there – and let’s face it a LOT of misinformation packaged up prettily with a big price tag. I’m a busy mum. I have a hectic schedule. It all just seemed too complicated to think about. So I just kept putting it off. I arrived to be greeted warmly by Victoria, who immediately put me at ease. I was there for a skin consultation and treatment, but first I wanted to know more about The Skin Health Clinic . Having trained and worked in beauty her whole life, Victoria had witnessed so many women with skin problems over the years. So many women covering up the problems with make up, using multiple products bought often in a desperate bid to fix skin problems but with no real idea of if they would work or at worst using unnesscessary extreme cosmetic procedures. 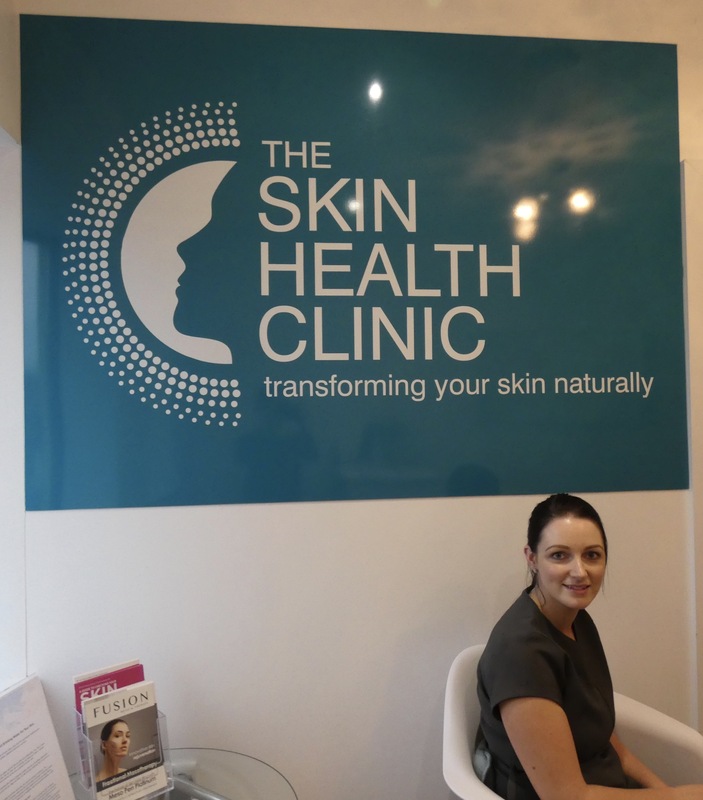 With a successful beauty business already in place, Victoria, a Skin Educator, took the step 2 years ago to open The Skin Health Clinic. ” I just love skin” she told me smiling and her goal was to focus FIRST on skin, educating women and giving them healthier skin and products they can trust. “Skincare should be simple, it shouldn’t be complicated” she went on to say, music to this busy mummy’s ears. When chosing a name The Skin Health Clinic was the obvious choice- no fancy names just a focus on healthy skin. The Skin Health Clinic aims to “provide the best correction and prevention strategies available by giving your skin exactly what it needs to restore its natural balance and health”. They offer treatments based not on marketing hype or quick fixes, but by understanding your skin so they can offer solutions that help your skin heal and flourish naturally. There is no burning, lasering, injecting, it is focusing on treating your skin well. There are no fancy smells or scents – as Victoria said, your skin doesn’t need perfume to be healthy, so why would we use products with at best unnessary and at worst, harmful scents. 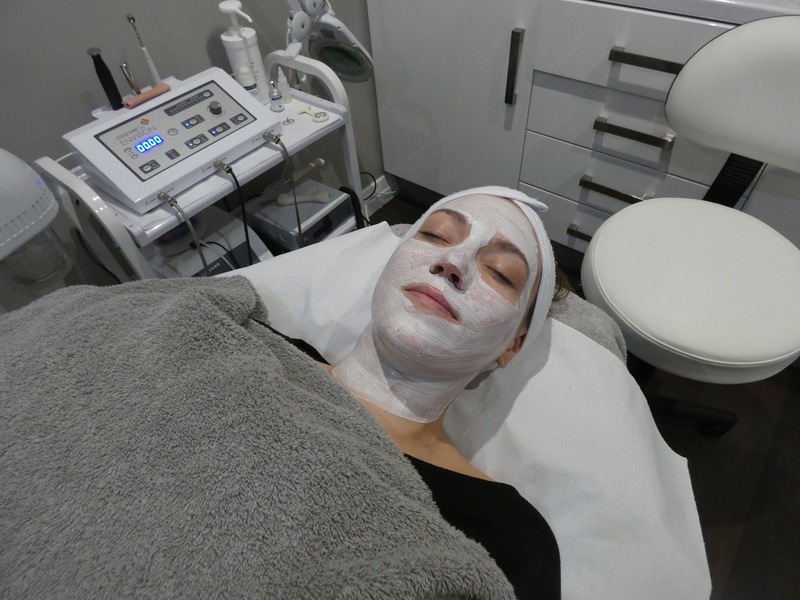 The basic concept when you chose to visit The Skin Health Clinic is that you first have an advanced skin consultation, which reviews your current skincare, your lifestyle, skincare concerns, what you want to achieve. It also involves bringing along products you currently use. The consultation also includes Skin Imaging to get clear pictures of your skin type, what’s going on under the surface and what ageing and damage your skin has experienced. This full consultation and imaging presents a really clear personalised picture of YOUR skin, your needs and therefore what treatments and products you should use. It’s much easier from there for Victoria and her team to recommend blended skincare and treatments – and the right products for you to use. What I learned was amazing. It was a joy to speak to someone with no judgement, about how I feel about my skin, the products I use and what issues I have with my skin. I was both impressed and reassured by Victoria’s in depth knowledge of the science of skin. From the consultation and skin imaging I was able to learn that my skin type is oily (no surprise there) and also get a picture of it’s health. I was surprised to learn my skin showed less signs of aging than I expected, but also surprised to see the pigmentation damage and ageing caused through sun damage. Ok, ok I love the sun and a good sun tan, but with oily sallow skin that tans easily and has never (to my knowledge) burnt, I was surprised to see some areas of damage. I have always used sunscreen and was fairly confident my skin wasn’t too damaged. Shows what I know! Similarly I brought what few products I actually used and was shocked with what I learned. Victoria was keen to point out they are not brand bashers, but they understand the ingredients lists and contents of the lotions and potions women use. The very well known and trusted household basic price moisturiser I was using (clue it begins with an N) was exacerbating the main issues I had with my skin. The middle of the range product I occasionally used had ingredients that at best were doing nothing and at worse were causing big problems for my skin. Mind blown!!! Based on my consultation, I had a treatment tailored to what my skin really needed. It was bliss and lasted for 60 peaceful minutes. 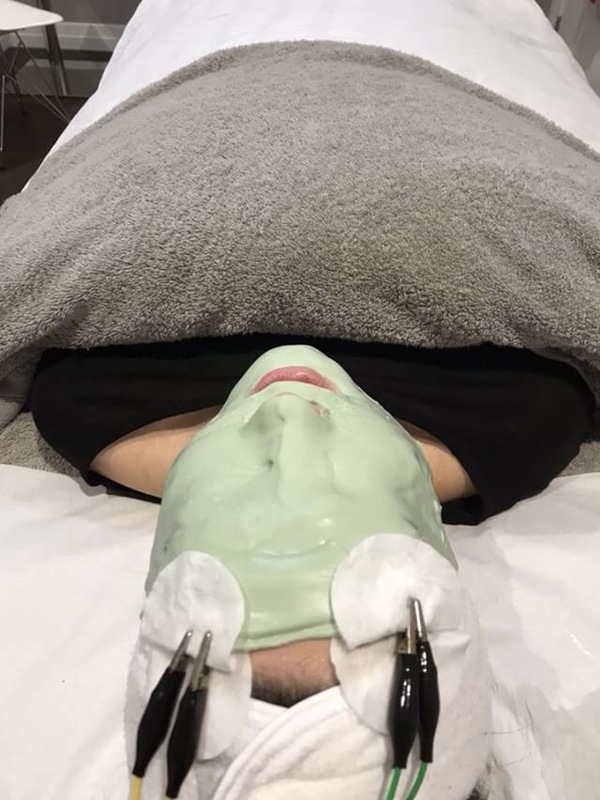 We took some skin images after and there was already an improvement to the colour and tone of my skin especially around my eyes which had been puffy and my cheeks. Following my treatment, we got talking about products. In terms of products, they use Dermaviduals. A revolutionary brand, created by a Doctor and based on the scientific make up of your actual skin. 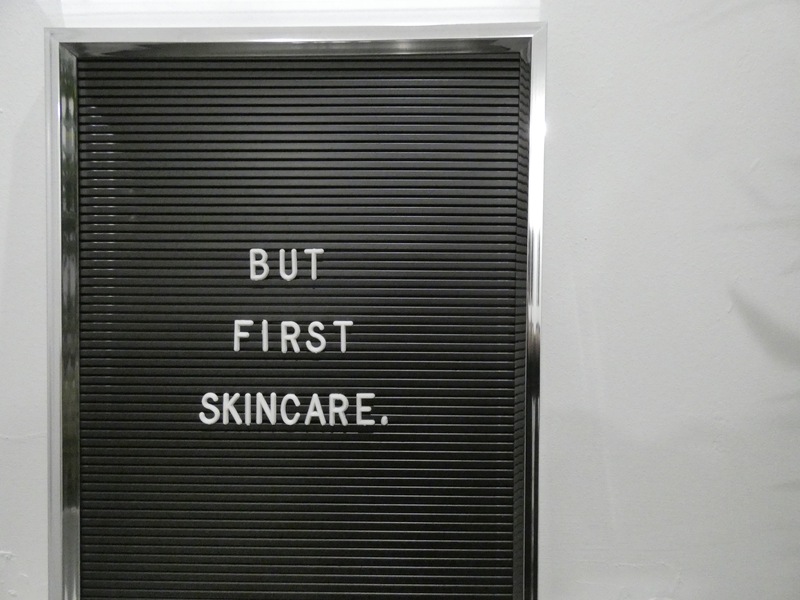 It’s a brand that is hugely popular in places like Australia where skin damage is at its highest and where people want to use skincare that actually works, rather than looks pretty or conforms to current trends. I was keen to build a routine that was super easy. 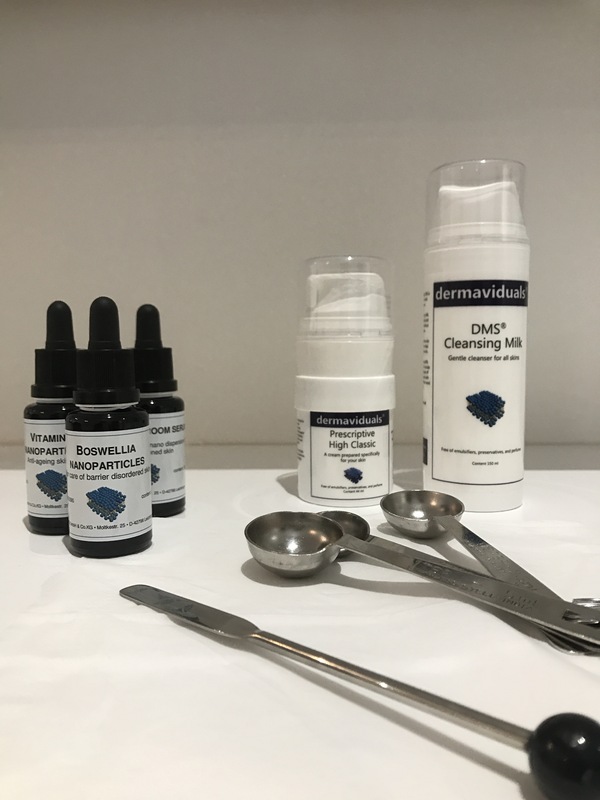 Victoria prescribed a simple gentle cleanser and a moisturiser which she tailored to my skin, using a base moisturiser and adding 3 different vitamins or extracts that would specifically compliment, heal and improve my skin. That’s it – 2 steps to better skin daily! She also gave me some Advanced Nutrition nutritional supplements to help heal and boost my skin from the inside out as well as an enzyme mask that can be used once a week. So far, I am loving my easy routine. Instead of a babywipe at night I simply take 2 minutes to remove my makeup and wash away the grime of the day with my cleanser, applied with my fingers then gently washed away with warm water. Follow that with my moisturiser and I’m done! In the morning, I moisturise after my shower and that’s me. Couldn’t be easier. It’s been a week and already my skin feels cleaner, clearer and healthier. One of my goals was to be able to wear less makeup and I already feel more confident in my own skin. I intend to follow this plan for another few weeks with the basic routine then start the supplements plus the odd mask to see if they give me a further boost. It’s been such a pleasure to take a few minutes each day to take care of myself in a basic way. I feel better about my skin and more confident. I’m also happy and reassured about the stuff I am putting on / in to my skin, feeling informed that the ingredients are not harmful and will only support and enhance my skins natural health. So far so good! I will keep you posted on how things go and post the odd story over on my insta account. If you have any questions please feel free to get in touch with me or just contact Victoria at The Skin Health Clinic for more information. My journey to a simple skin care regime and better skin is off to a great start! *I’d like to mention I was lucky enough to be gifted these products to try out but I only accepted them as I fully believe and endorse the work Victoria does. I regularly turn down approaches from brands to review or advertise their products but this was a different scenario and really more than anything, a meeting of minds.